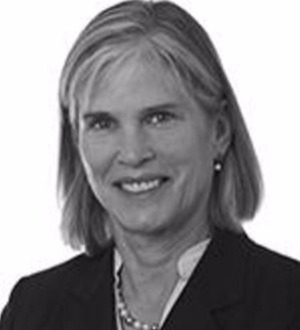 Cynthia is a member of Dentons' California Employment and Labor practice and Litigation and Dispute Resolution practice and serves on the Global Employment Steering Committee. She is resident in the Silicon Valley Office and has over 35 years' experience working in the areas of California, US and international employment counseling and litigation. She defends domestic and international companies and C-suite individuals in class actions and other high-stakes employment, wage and hour, discrimination, harassment and whistleblower litigation. In addition, Cynthia advises multinationals on all aspects of managing their global workforce, including expanding into new countries, global restructurings through reductions in force, mergers and acquisitions and post-acquisition integration, and day to day advice and coordination related to global personnel policies, employment agreements, restrictive covenants, discipline and consultation obligations, terminations and secondments. What distinguishes Cynthia’s practice from that of many of her peers is her ability to also counsel, investigate and litigate cross-border matters, including crafting global codes of conduct that fit a client's geographic footprint, running cross-disciplinary and cross-border compliance audits and internal investigations, designing and providing global compliance training and setting up global whistleblower hotlines and global HRIS systems in compliance with local employment and privacy laws. Cynthia also advises clients on human rights issues in global supply chains and global Corporate Social Responsibility programs. Cynthia has consistently been recognized as a leader in her field by Chambers USA, Legal 500, Best Lawyers of America, Northern California Super Lawyers and America’s Leading Lawyers for Business. In 2015, Chambers USA commented that she “impresses with her broad employment practice, routinely handling class action litigation and international investigations for international clients…[S]he can synthesize information quickly and understand how it applies in different jurisdictions”. Both the Los Angeles Daily Journal and the San Francisco Daily Journal have included Cynthia on their lists of "Top Women Litigators"—describing her practice as “having a broad impact on the legal community, the nation and society”— and she was featured in Silicon Valley Business Journal's inaugural "Silicon Valley’s Women of Influence" issue.